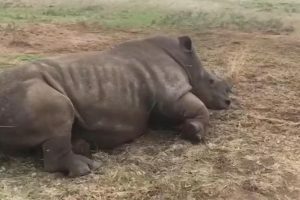 More heartbreaking news from the Eastern Cape of South Africa as WAN learns that an entire breeding herd of rhinos has been shot and killed during two separate attacks on the same private game reserve in the past three weeks. 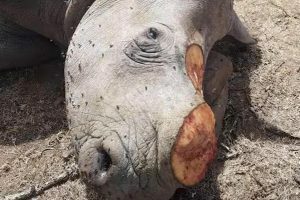 The latest attack which claimed the lives of three rhinos, an eight-year-old, a 15-year-old female and a four-year-old male, took place on Sunday at the Wildschutsberg Game Reserve in the Stormberg mountain range near Komani (formerly Queenstown). Making it even more senseless and devastating is the fact that two of the rhinos only had stumps of horns left because they had already been dehorned to decrease the chances of poaching attempts. But the greedy poachers nevertheless shot them all dead before fleeing the horrific scene. The police Endangered Species Unit was subsequently called in along with trackers to try to locate the alleged poachers. 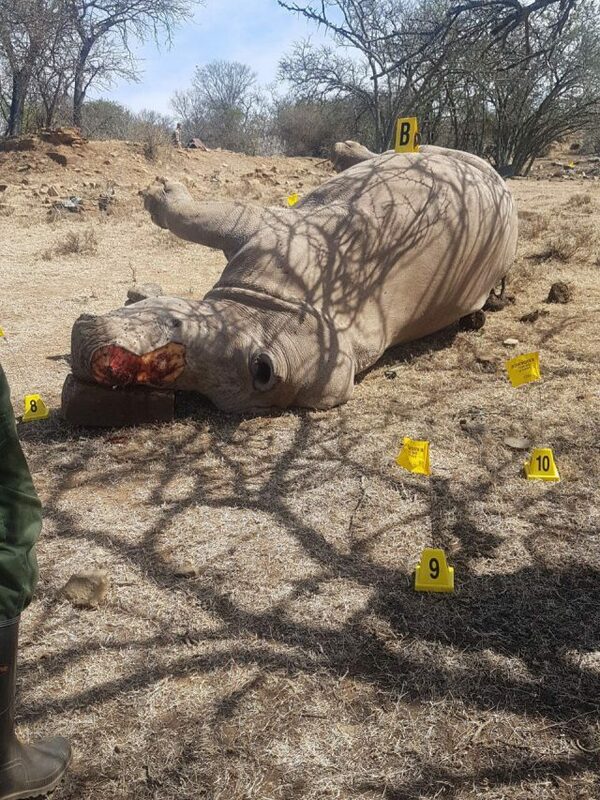 According to news outlets including Herald Live, a syndicate is suspected to have targeted the reserve and was also responsible for poaching the two rhinos, both 10 years of age, who were shot and killed at the beginning of the month. Suspecting inside information was shared with the perpetrators, Harvey has ordered his staff to take lie detector tests. Sadly, 11 rhinos have been poached in the Eastern Cape so far during this year alone, while 19 were killed last year.